UnitedHealth Group has tapped former GlaxoSmithKline CEO Andrew Witty to lead its lucrative Optum business starting in July. Witty will succeed current Optum CEO Larry Renfro, who will lead the insurer's newly expanded venture capital arm Optum Ventures as managing director, UnitedHealth announced Tuesday. Witty has served as a member of the UnitedHealth board of directors since August 2017, and will step down immediately in light of his new role. Witty was CEO of London-based pharmaceutical giant GSK from 2008 to 2017, where he led the drugmaker to shift its focus away from pharmaceuticals and toward consumer healthcare and vaccines. Renfro, meanwhile, has been Optum's CEO since 2011. Optum is the fastest-growing unit of UnitedHealth, recording $91.2 billion in revenue in 2017. UnitedHealth's revenue totaled $201.2 billion last year. 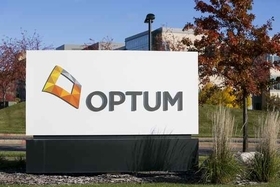 "I'm extremely proud of the immense progress made in advancing healthcare and this enterprise by the people of Optum over the last seven years, and believe strongly Andrew Witty is the right person to lead our well-established, high-performing team, as Optum pursues its next chapter of consistent growth and health system improvement," Renfro said in a statement. Renfro will oversee UnitedHealth's Optum Ventures, a VC fund focused on investing in startups that improve healthcare delivery and payment systems and enhance consumers' access to care. Unveiled in November, the fund made initial investments in four U.S. startups, including data and analytics platforms and artificial intelligence companies. On Tuesday, UnitedHealth said it has expanded Optum Ventures to include a $100 million global fund to invest in emerging and advanced technology, data analytics and healthcare services internationally. In all, the unit has total investment commitments of up to $600 million, according to UnitedHealth.